Learn artistic hair dressing techniques with X-presion from Spain in these exclusive online hairdressing training videos from MHD. 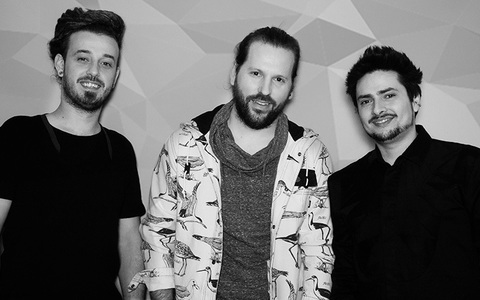 X-presion comprises of Marco Antonio Muñoz, Jorge Cáncer and José Luis Almendral and is the first company dedicated to Research and Development in the artistic and educational fields of hairdressing, developing new techniques of cut, colour and dressing; mixing different disciplines, materials and approaches. Apart from educating professionals worldwide, their collections and activities delve into the world of cinema and art. Each one of their projects is a fusion of music, video, costume design or photography. X-presion's works have been selected as a cover of more then 50 international trade and fashion magazines. In 2010, X-presion became the youngest hairdressers to receive the AIPP Grand Trophy and achieved a record six time wins in the AIPP Hall of Fame. Their numerous awards include the New York Photo Award and National Photography Award (Spain), Spanish Innovation Gallery and Figaro Awards.